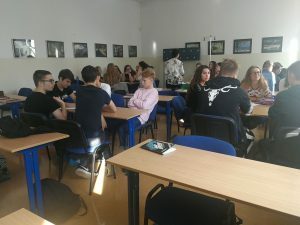 To the team of E-EVALINTO was joined Ms. Agnieszka Kobierzycka and first grade students who have just begun their studies at the Academic High School. There are 26 students in the class, among them 5 pupils from Ukraine. 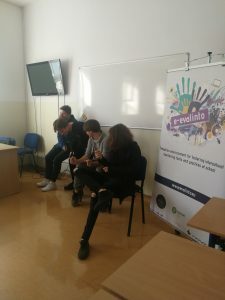 The whole class enthusiastically approached the E-EVALINTO classes and during their implementation Polish and Ukrainian students willingly shared their interests and hobbies. The students are waiting for the next classes implemented E-EVALINTO.